No, it’s not a Beatles cover… 🙂 This is a song about getting over ourselves and listening to God’s voice and feeling His presence in our lives; putting ourselves together with His help. I got a little inspirational kick while I was recording with my little VHT Special 6 which I used for the electric guitar parts. I had it totally cranked up, ran it through my Aracom PRX150-Pro and out to my 1 X 12 that has a Jensen Jet Falcon in it. Man! That amp sounds A LOT bigger than it’s diminutive 6 Watts. For the left channel guitar, I used my Strat in the bridge position, then used the neck position for the right channel to get a ballsier sound. Okay, boys and girls… After announcing this guitar over a year ago, Gibson has finally released the Firebird X er… system. 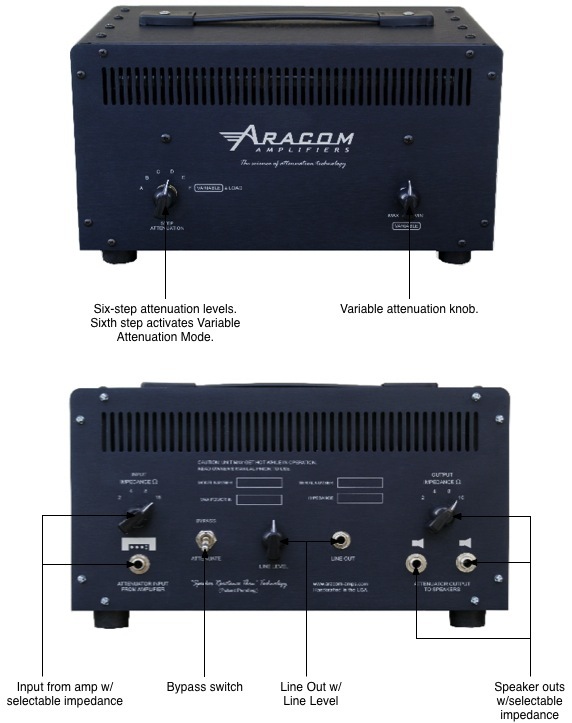 Not just a guitar, this baby packs built-in effects, completely on/off switchable and coil-tapped pickups. It also includes a piezo pickup for getting an acoustic sound. But wait! There’s more! The pickups can be switched to run in series and parallel. But we won’t stop there! The on-board effects can be controlled by sliders on the upper bout of the body, and with the included switch pedal, you can activate those effects. But just to make sure Gibson didn’t forget anything, they also include an expression pedal for the effects. By the way, the effects are all programmable via USB interface to a computer. Oh yeah… There’s also a boatload of software included. Even the case is revolutionary (Gibson’s words). It’s lightweight, and includes the obligatory straps, but it’s strong enough to withstand a fall from a six-story building (I wonder if that’s with the guitar in it). 🙂 Oh! And let’s not forget the robot tuning system. So what’ll all this cost? Supposedly, somewhere in the neighborhood of US$5500. It certainly is a system, and mind you, I only mentioned a fraction of the features of this guit… er… system. The technology that has gone into it is pretty amazing in both breadth and depth. That, I can’t deny. And to have your pedalboard right in your guitar is pretty freakin’ cool – ala Matthew Bellamy of Muse. There’s a part of me that says this screams of overkill. But on the other hand, it’s not as if this guitar will be a high-production model. It’s a limited edition. But who knows? If demand is high, Gibby may turn it into a sales platform. Also, for myself, and myself only, I just want to play. I’m not sure that I’d want to spend a lot of time niggling over effects patches. And besides, though the effects may very well be good – perhaps even awesome – I’ve got the effects I like on my board, and for the most part, especially for my modulation effects, I rarely change where they’re set to (well… except for my Deep Blue Delay). Don’t get me wrong. I’m really not trying to be cynical here, but something like this would take me awhile to dial in. Like I said, I’d rather pick up a guitar and just start playing, knowing what sounds the guitar will make. For more information, check out Gibson’s Firebird X site! New Song: He Is the Rock! 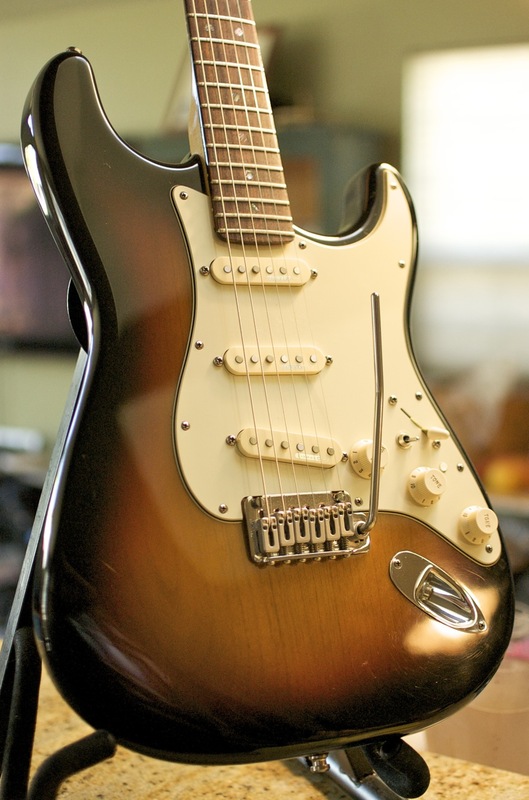 My American Deluxe Strat is the very first Strat that I actually liked. A lot of it has to do with the pickups, which are Kinman Hx noiseless single coils. These have a bit more output than stock Strat pickups and they make a HUGE difference in the tone of the guitar; fattening up the sound significantly. Traditionally, I have absolutely abhorred the middle pickup of Strats. To me, with the stock set, though it is mid-rangy, which is a tone I like, I always felt the middle pickup was a little lifeless. Even EVH with the Frankenstein removed the middle pickup, and replaced the bridge pickup with a humbucker I suppose to fatten up his tone. With my Kinmans, the tone is not quite ‘bucker-fat, but it is much fatter than the stock pickups. As for the middle pickup, it’s my favorite pickup on the guitar when I’m playing with distortion. It produces tons of mid-range that cuts right through a mix. I actually recorded this a few years ago, but couldn’t get a groove with the song. So I finally got it put together, and after I recorded the acoustic guitar and piano parts, realized that it needed a driven electric guitar sound; specifically, my Strat through a cranked Marshall. 🙂 To be honest, I tried recording with the neck pickup which is my usual go-to pickup, but that was way too fat, and the bridge pickup was way too thin. But the middle pickup was just right… (yikes! sounding like Goldilocks and the three bears). When I spent time with Doug Doppler way back when, he talked about the middle pickup being one of his favorites. I personally didn’t “get it” at the time because up until that point, I hadn’t heard a middle pickup on a Strat that I liked. But after recording this song, I’m sold. When I want a smooth drive with lots of mid-range, the middle pickup is it!